‘Tis the season for shopping, and three of the U.S’s favorite shopping days—Black Friday, Small Business Saturday, and Cyber Monday—are just around the corner. This is one of NEC’s favorite times of year, and it’s at this time that we give thanks for our small and medium-sized dealers and customers. NEC would not be the successful organization it is today without the help of small businesses—the remote workers, the startups, and the established retail shops, doctor’s offices, and all the people who sometimes get overlooked during this time of year. You may think that, with a whole week devoted to celebrating small businesses in May, that small companies don’t need us to say how great they are and that we value what they bring to the economy. But they do need focus—a little attention and a polite “thank-you”—during this time of year. So to say “thank you” to our small business customers, NEC wants to remind everyone about how valuable SMBs are to our communities. We all know what Black Friday and Cyber Monday are—the big-box retailers’ opportunity to get us out (or online) to kick off the holiday season. And while these are important days for the U.S. economically speaking, one day that’s relatively new to our history, Small Business Saturday, may get overlooked by holiday shoppers. In 2010, American Express founded Small Business Saturday to help small businesses with their most pressing need—getting more customers. 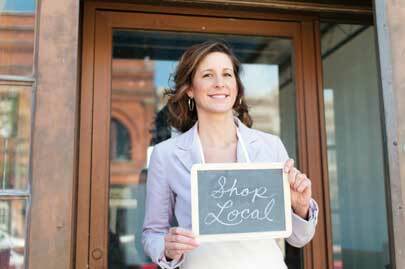 The day encourages people to shop at small businesses on the Saturday after Thanksgiving. The day has grown into a powerful movement, and more people are taking part each year. In fact, an estimated 5.5 Billion dollars was spent on Small Business Saturday in 2012, and 1,450 “neighborhood champions” signed up to rally both local businesses and local shoppers in their towns in last year. According to the National Retail Federation, SMBs make 20 to 40 percent of their yearly sales during the last two months of the calendar year. With so many businesses depending on holiday sales to make or break the bank as it were, it becomes easier to understand why Small Business Saturday matters so much to so many. The United States was built on the backs of small business entrepreneurs. And even in today’s economy, which is much more geared toward achieving “big business” status, small businesses remain a critical component of and major contributor to the strength of local economies. Even with large corporations making the bulk of the country’s money (which they could not do without their small business partners), the real driver behind the success of the economy is small business. Firms with fewer than 500 employees drive the economy by providing jobs for over half of the nation’s private workforce. The most recent figures from the U.S. Small Business Administration show that small businesses with fewer than 20 employees lead job creation, and have contributed to 63 percent of net new jobs created since 1993. Small businesses comprise what share of the U.S. economy? If what you’re shopping for happens to be a new communications solution, then NEC’s Smart Communications for SMBs might be what you are looking for. NEC’s Unified Communications solutions are designed to help businesses respond more quickly and efficiently to customer requests to drive loyalty and ultimately grow a small business into a big one. When you shop locally, you give money back to your own community—you help create more jobs, stimulate economic growth, and keep more people open for business. Contact us if you’d like to talk to your local NEC dealer, and remember we want consumers to #ShopSmall this Saturday—and for the rest of the holiday season. Tech professionals love their acronyms, and FCR—First Call Resolution in customer service industries and contact centers is no different. Lately, it seems every vertical industry has its vocabulary; with an acronym for every ideology, methodology, principle, and strategy. Most of these terms have been discussed to death—to the extent that it becomes difficult to get excited about the topic at all. FCR is one of the acronyms we don’t see nearly enough of, though; which becomes evident when running a simple search for the term. In fact, search engines seem to return every generic name for FCR other than the one discussed here. FCR is one of the five most important operational metrics in today’s contact centers and is also one of the key drivers of customer satisfaction. You would think that in a challenging economic environment, one that is increasingly focused on the importance of customer satisfaction in a word-of-mouth-equals-free-marketing-distribution kind of world, that the topic would be written about so extensively that it would dominate search engine results. Customer relationship managers use FCR to mean two principles/metrics that are often used interchangeably—when they shouldn’t be. Is FCR first contact resolution or first call resolution? The answer to that question depends on your business’ individual needs. First Contact Resolution incorporates the same principles as first call resolution—which is generally accepted to mean that a contact center agent addresses a customer’s need the first time they call, thereby eliminating the need for the customer to follow up with a second call. First Contact Resolution takes First Call a step further by tracking the contact’s behaviors and providing additional analytics and data based on their actions. While purists might agree that First Contact Resolution is the better of the two metrics and most reflective of true customer experience, the reality is that purchasing the customer lifecycle tracking software needed to appropriately track the First Contact Resolution metric is often expensive and impractical. Well, for the answer, we must look at the Pareto Principle. In the context of the call center, this typically means that 80% of customer service calls/requests are coming from 20% of a given customer base. So, taking the Pareto Principle into consideration means understanding that the customers who are on the phone with your contact center agents today, will likely be the same customers who are on the phone with your agents next week. Knowing this turns the immediate need for First Contact-level tracking into a lower-priority concern. If you have the budget to spend on customer lifecycle management technology, then you should track that data. But I’d rather focus on First Call Resolution, and how implementing sound practices with appropriate contact center technology makes it possible to improve this essential performance metric. More than 40 percent of customer contact information is manually recorded by agents instead of fed through automated APIs or Web-based systems, which means reps are often not as connected to relevant customer data as they need to be to guarantee FCR. Half of call center agents feel hampered by productivity challenges such as having to ask customers for basic contact information. More than a third of contact centers do not collect any data around customer satisfaction, and 15 percent collect it but don’t use it at all. While there are a great number of businesses continuing to operate with legacy call center equipment and ignore the importance of technology that helps achieve immediate customer satisfaction, today’s customers are becoming increasingly demanding. Customers are becoming more aggressive when comparing prices and are apt to switch their loyalty to your competition because of a poor customer service experience. The study shows that without the right tools and guidance, agents are neither able to handle the volume of data that is in front of them, nor able to extract the vital pieces of information that they need to drive successful outcomes. Everyone lately has experienced a terrible call or long hold time. In fact, the entire experience has created a small culture on Twitter that identifies with the hashtag #onholdwith. Obsolete technology doesn’t give any business the extensibility it needs to answer customer complaints. When you consider that these same businesses are also becoming overwhelmed by data, one wonders whether or not first call resolution as a principle is also becoming obsolete and forgotten. Failure to resolve customer issues in the first call results in callbacks and increased total costs. If customers have to call back two or three times to resolve their issue, they may not call back ever again. Educate agents and get them involved: Educate your agents and then empower them to improve first call resolution-related processes. Your agents know customers and customer care probably better than anyone. Smart managers actively solicit suggestions and insight from their agents regarding how they may be able to enhance first call resolution performance. Given the opportunity, your call center agents will tell you what tools, training, and workflows are lacking and what processes and metrics are interfering with their ability to resolve customer issues effectively. Consult past records: Don’t attempt to solve the problem without doing due diligence. Encourage your agents to review past interactions with their customers for clues and indications about why certain interactions resolve and others do not. Doing so will put your agents in a better place to remedy problems instantly. Install recording software: To get a sense of whether your agents resolve customer queries or escalate them, invest in call recording software which can record and archive every single interaction. Doing so gives your call center managers something to rely on to identify best-in-class behavior and zero in on patterns needing improvement. Optimize workforce management processes: Even the best trained and equipped agents on the planet can’t be successful if they’re over-worked. The same applies if the customer, who has been caged in a queue for 15 minutes, is screaming at them for taking too long when answering the phone. Accurate forecasting and sound scheduling is critical, as is mastering skills-based routing, so callers get sent to the right agent with the right skill set to handle a customer’s specific issue right there on the spot. Ultimately there is a high cost, in terms of inefficiencies and operational cost, when you continue to operate outdated technologies. Taking inventory of your existing call center technologies can help you determine if it’s time for an overhaul or a simple upgrade. You don’t have to choose between favorite software and hardware. You can choose to invest in contact centers with automatic call distribution and attendant technologies so that calls coming into your contact center are routed correctly. Many of these technologies now include Unified Communications with presence technology, which can help you identify available subject matter experts instantly. Check out our whitepaper for more information on Best (and Worst) Practices in Customer Communications. 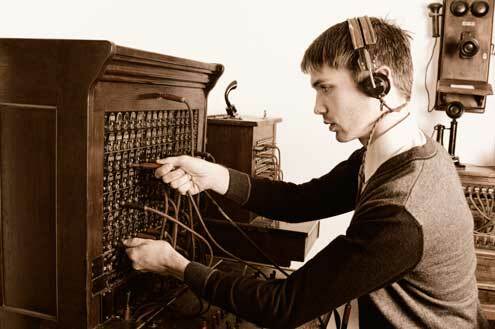 You know your PBX is way past its prime, and economic pressures have lead you to delay its upgrade or replacement. But there comes a point in time when continuing to sweat your communications assets no longer makes sense—from both a financial perspective and a business/productivity perspective. Retaining outdated equipment can essentially increase your IT costs and prevent your users from utilizing communications tools that help your business processes. Phone systems are one of the assets that many companies sweat for too long, and, as a result, many of these organizations are sitting on archaic (or end-of-life) equipment that is no longer efficiently supporting their business while possibly putting it a risk. Yet for some, the prevailing practice is to continue operating the existing system well past its useful life and beyond the end-of-support. The lifespan on the last PBX was too short. Every day your business uses an analog, TDM, or older VoIP phone system that has reached end-of-life, you run the risk of having your phone system fail without access to support. If that happens, revenue will likely be lost as a result. How much? Well, you could lose what equates to hours, days, or even weeks of revenue—depending on the amount of time it takes to quickly repair or worst case find and install a new system. Maintaining separate systems like directories, conferencing software, voicemail, and telephony is expensive and time consuming for IT departments to sustain. In fact, it can be so time consuming that the IT department spends the majority of their day keeping these systems functional—time that can be better spent on more strategic IT projects. 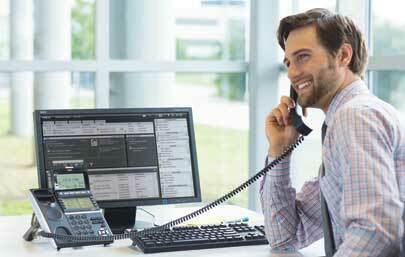 Unified communications can help businesses regain competitive advantage in two ways. Some organizations struggle with selecting the best model (premises, hybrid, or cloud-based) to meet long-term communication needs. Check out the infographic below to learn more about the advantages of each option. Ultimately you’ll look for the platform and vendor that has the flexibility to customize the right solution to meet your specific needs. Supporting Millennials in the Enterprise becomes easier with Unified Communications Technology. Everywhere you look these days there’s an article about millennials—the net generation, generation next, echo boomers. I am a millennial. So I have some insight into the millennial/tech conversation. Yes, it is true that we are inherently good with technology. That I won’t argue. But we are still very new to the enterprise—and simultaneously, enterprise lingo. Throw a term like “unified communications” at a millennial, and many of my peers will draw a blank. Despite that little flaw, we are becoming an increasingly significant factor to consider when defining business IT needs. At over 79 million strong in the US, we currently outnumber the baby boomer generation by three million people. By 2015, we will comprise over half of the labor market globally. 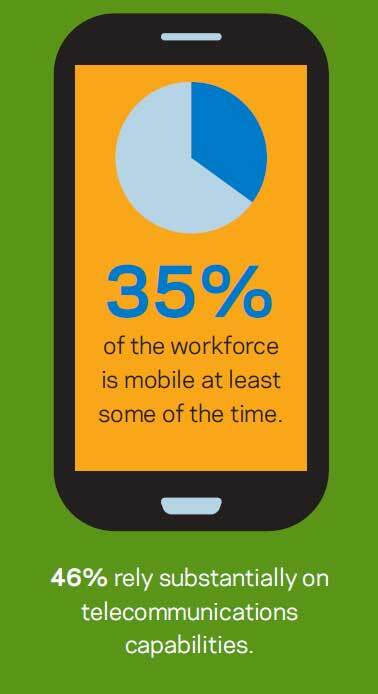 Unified communications offers all of the tools that millennials demand in the workplace. But like me, they may not know that. Because even though we are technologically savvy, the consumer market does not have or use a term like Unified Communications. Millennials have just not had a chance to become familiar with it. I did a lot of reading about UC when I first heard the phrase. And I learned a lot of technically specific IT information. But I didn’t really “get” UC until I attended a training/demo. The training showed me just how quintessential UC is to my generation. It includes all the features that we like to have on hand as we work—all the tools we already use. 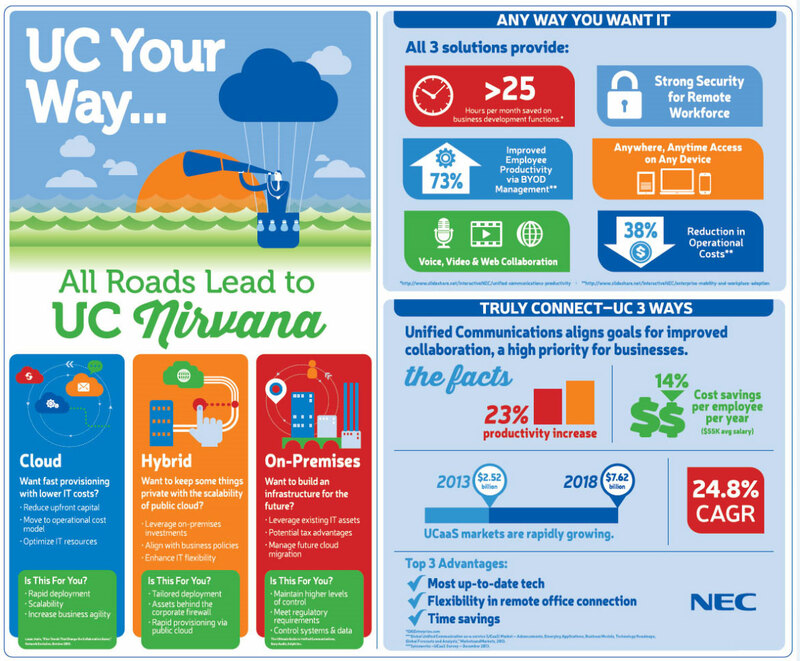 From my training, I’ve developed a list of the Top 5 Features Millennials will Love about UC. What it is: Rich presence allows users to locate and identify another user’s availability and contact them on their preferred device. Why it matters: Millennials like efficiency. We’ve had Rich Presence—at least in the form of availability—as a feature of our various instant messaging systems for over a decade. To us, it’s second nature to mark ourselves as “Away” or “Out to Lunch” on an Instant Messaging platform. By that rationale, it’s also second nature for us to want to know someone else’s availability before we ever pick up the phone. It is fantastic that UC solutions offer presence features that are capable of showing when co-workers are “On the Phone,” or, “In a Meeting;” as well as if they are in the office or mobile. Rich Presence allows more efficient conversations, and enhances voice and messaging applications to better suit millennials’—and everyone else’s—mobility needs. What it is: Instant Messaging/Chat technology provides a communications alternative to traditional telephone calls or video conferences that is less-intrusive and enables quick exchange of information. Why it matters: Millennials are chatty. And while we’re not necessarily more communicative than our Gen X and Baby Boomer peers, the fact is that Millennials communicate differently. Making a phone call is not always our first instinct (admittedly there are those of us who find phone calls to be daunting). So, most millennials are less likely to use a traditional handset—or a phone call in general—until a deeper level of conversation is warranted. When this is the case, millennials will schedule these conversations ahead of time if it’s possible. Why? Because we’ve grown up using communications technology, and chatting digitally via IM or Text message is instinctive to us. So if we have a question or request that can be answered or discussed quickly, you can bet an instant message of some kind is going to be our preferred method. What it is: Softphone functionality allows employees to use their computers to send/receive calls, perform desktop video conferencing, and use advanced call forwarding and web-browser dialing. Why it matters: Millennials love VoIP technology. Check any one of their phones and you’ll find at least one favorite consumer VoIP application. We use them all the time to chat and videoconference with each other. In fact, consumer softphones are so popular with millennials, that we use them personally, and, as a result, softphone applications are becoming more popular and prevalent with SMBs who are trying to attract millennial innovators—i.e. startups, small businesses, marketing and advertising verticals, etc. When you factor in the ever-growing mobility trend, you begin to understand and see that the need for these tools in the enterprise office is not specific to millennial workers alone. What it is: Online Smart Directories provide a desktop view of any person or extension in the enterprise, and that person’s availability via a simple search feature. Why it matters: Millennials have grown up “searching at the speed of Google.” We are instinctive researchers, and our instincts tell us that somewhere online we’ll find the wisdom we seek. So it is incredibly impressive when our UC client can look up any person and any extension in the enterprise via a simple search feature. In fact, this is one of the pleasantly surprising benefits to using enterprise-level UC over a consumer-based option, and something that most millennials may not inherently expect. What it is: The device that a user holds to the ear to hear the audio sound through the receiver. Why it matters: Contrary to popular opinion, there are millennials who are perfectly comfortable picking up the desk phone, and I believe it is inaccurate to say that there is a straight refusal on millennials’ part to use them. Hard phones are great when sitting at a desk working, so long as they are easy to use and have advanced features that allow us to tailor the phone experience to meet our individual needs. Older handset models can be difficult to learn how to use with 100 page handbooks and overtly complicated keypad functions. Unified Communications enabled phones are usually linked to a user’s PC through a UC desktop client, making it intuitively easy for millennials to set-up and access advanced calling features with a few mouse clicks. This client is usually integrated with the enterprise’s messaging and email platforms, making it identifiable to the mobile experiences we’ve come to know. For my generation, work is something we do and not somewhere we must go. So we need tools that enable mobility. That being said, we are not opposed to traditional forms of communication. We still use email. We still make phone calls. We will continue to do so. We’re not going to stop using them just because we get a new tool that has an instant messaging feature. Most importantly, we understand there is a need to respect others’ communications styles. So if our co-workers prefer phone calls to IMs, we can make that adjustment. In many cases, successful adoption of new communications styles requires management of generational expectations, not just software training. So, all of this is to say that Unified Communications can unify the multi-gen workforce that most businesses have, and should more than satisfy millennials’ needs through the UC system’s features. 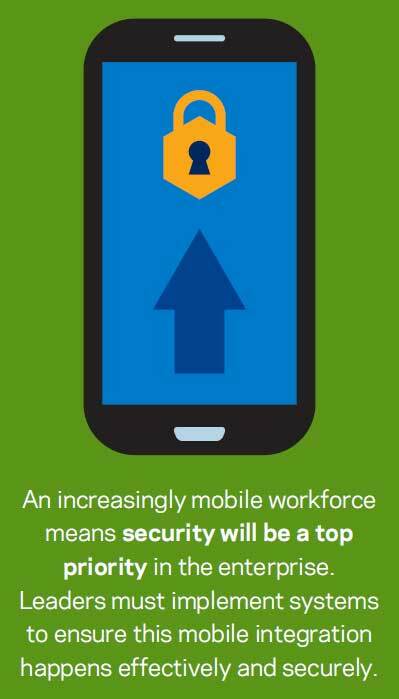 Are you excited to learn more about millennials and Unified Communications?